Professionally qualified Kent electricians, Kent Electrical Solutions Ltd provide quality assured domestic electrical installs from adding a new socket or light switch to completely wiring an eight bedroom house. 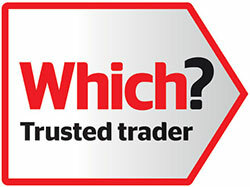 Our professional qualified domestic team comes with perfect references, some of which are posted on www.checkatrade.com. We take pride in our work and always strive for complete satisfaction from all our customers. Testimonials from satisfied customers speak for themselves. All quotes for Kent rewiring installs are free of charge. There are no hidden charges and the whole process will be explained in layman’s terms. We pride ourselves on cleanliness and housekeeping. So when we undertake a house rewire we will do our utmost to minimize mess. Unlike other electricians, at the end of each day, we will put your home back as it was and clean any mess before we leave. We feel this is part of the service and as important as the quality of our workmanship. "Nathan and his team exceeded expectations on every level. The work was of great standard, his team was very considerate, always cleaning up at the end of the day and minimising any disruption. Nathan oversaw it all, always checking that we were happy. All on time and within budget."